It is an easy to use and versatile tool. I recommend! Not as I expected. Tool Is very fragile. Other brands are Much cheaper and as accurate and does Not require calibration. 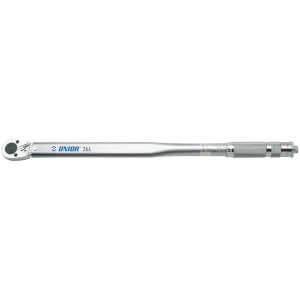 I was between choosing this item and the park tool torque wrench and chose this one based on the sale price. Unlike the park tool it comes with all the hex heads and you don't need to buy those separately. The package is classy and nice. I tested it on the carbon seat post couple times and it seems to do a decent job. Simple to operate and looks solid. I think with the good sale price it would be good alternative to the park tool wrench. Not cheap, but well put together , easy to use, small well-packaged. Just what I need. I recently dropped 10 grand on a carbon fiber road bike from Italia. I didn't have any idea about torque tension prior to the purchase until I began reading about bike maintenance. The mere fact that I could ruin such a beautiful bike by over tightening bolts freaked me out. I immediately purchased this Italian made Effetto Giustaforza II Ratchet Torque Wrench (same pedigree as the bike) from PBK (best price) and now I'm set to enjoy the bike. The product works beautifully. And PBK sent it in a timely fashion from across the ocean in the UK. Thanks.